No storytelling programmer will want to be without this expansive and instantly useful handbook. 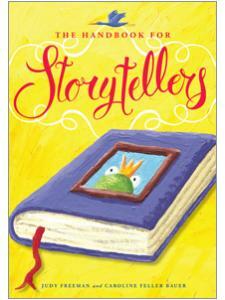 Check out The Handbook for Storytellers, the companion volume! Check out this title's Web Extra! Afterword: And, Finally . . .
Judy Freeman is a former school librarian; an adjunct professor at Pratt Institute in New York City teaching courses in children's literature and storytelling; an international speaker and performer for children, teachers, librarians, and parents; a children's book reviewer; and the author of more than a dozen professional books about children's literature and storytelling. She continues to work closely with librarians, teachers, and hundreds of students at several elementary schools to test out new books, ideas, and ways to incorporate literature into children's lives. 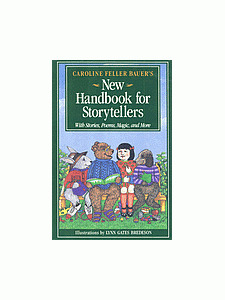 Caroline Feller Bauer (1935–2013) was a public librarian, professor of children's literature, radio personality, international speaker and performer, author of nineteen children's books and professional books about children's literature for adults, and a tireless cheerleader for literacy and storytelling. 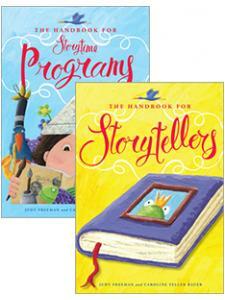 "It is a combination of old and new that will give storytimes a boost. This book is recommended for public library professional collections." "Altogether, this volume recommends stories in approximately a thousand current books; it will save story-hunters enormous time and effort … Freeman's fluent, conversational prose makes [the book] enjoyable to read as well as to consult for practical storytime programming ideas."